* 47 sell-outs and Scotlands most-travelled Indie Show with over 40,000 people attending since 2011. * The DJ Show features: The Stone Roses - Oasis - Arctic Monkeys - Kasabian - Blur - The Libertines - Babyshambles - Noel Gallaghers HFB's - Jamie T - The Courteeners - New Order - Primal Scream - The View - Catfish - The Smiths - James - The Prodigy - Jake Bugg - Blossoms - The Charlatans - The Enemy - The Strokes - Pulp - The Coral - The Verve....and whatever else can be squeezed in. 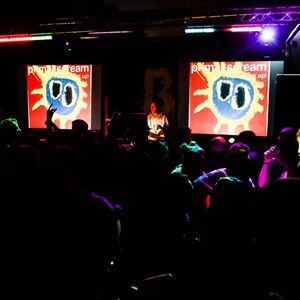 * Never just a DJ Set – Live Visuals and Music Videos on TWO Giant Screens. A genuine audio/visual feast and nothing like you've seen before !